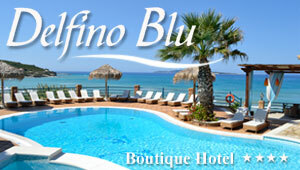 Ski & Fun Club 2001 is located in the bustling, verdant beach resort of Dassia, Corfu, Greece. 13 km north of Corfu Town (pop. 45,000), Dassia enjoys a location easily accessible to tourists, who arrive by charter flights at Corfu International Airport from all over the world during the months of April-November. The entire area is well developed for tourism with countless hotels, apartments, studios, restaurants, bars, cafes, nightclubs, retail shops, pharmacies, medical facilities, supermarkets and hair salons. On the beachfront itself, cafes, restaurants and traditional Greek tavernas line a kilometer long boardwalk, which spans the entire length of the shoreline.